Wheel cleaning tips. Keep your wheels free of brake dust and grime. What is the best way to clean my wheels? Nothing can ruin the look of a freshly washed car than a set of dirty wheels! Your wheels get punished by a barrage of brake dust and road grime which is often difficult to remove. The first step to clean wheels is to wash with a gentle car wash detergent, ideally at the same time you wash the rest of your car. I will do my wheels last, that way the dirtiest part of the car is done last and my wash mit is not spreading brake dust all over the car. Your brake pads are made up of tiny metal or carbon fibers bonded with a polymer adhesive. It's the hot metal particles and the adhesive that can burn in to your wheels finish and leave marks that are tough to remove. If washing the wheels with car wash liquid does not work, it's time to step up your game and get a little more aggressive. Is that wheel cleaner safe for my wheels? 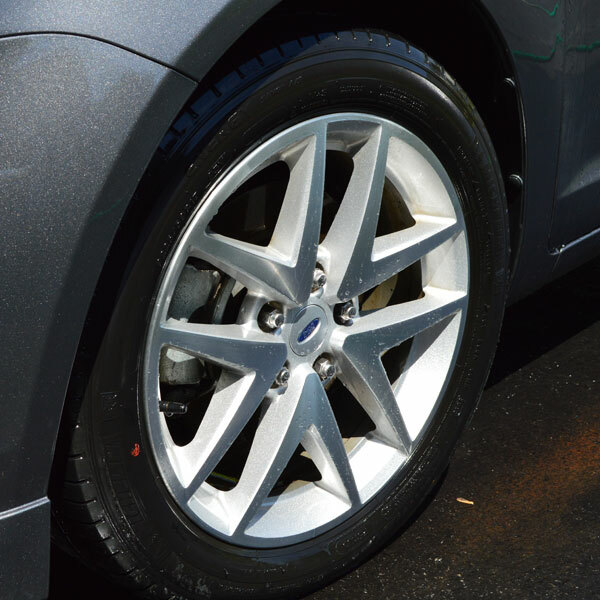 The key to picking the right wheel cleaner is know what type of wheels you have. Most modern aluminum wheels will be clear coated to protect the finish but older wheels may be anodized or polished. An acidic wheel cleaner may work well on a bare uncoated aluminum wheel, but will eat off the clear coat of more modern wheels. Your best bet is to use a product that is advertised as "clearcoat safe" if you don't know what kind of coating is on your wheels. Always check the cleaner in an out of the way spot first to make sure it's safe. Should I wax my wheels? Absolutely! Once your wheels are clean, a layer of carnuaba wax can help protect the shine, and give the brake dust a nice home to settle in to, instead of in the surface of your wheel. The next time you wash the wheels, the brake dust should release much easier from the wheels. Re-apply the wax after each wash to keep up the protection. Note, I have seen products which are advertised to keep brake dust off of your wheels by placing a disc between your wheel and rotor. In my opinion it's not a good idea to mess with airflow around the brakes, and possibly overheat your braking system. Also remember that certain brake pads will leave more or less brake dust so when you find a set of pads which you like, take note for the next time you hit the parts store, or get brake service done.